Overnight Care -- Anything over regular working hours can be paid in an hourly wage or can be done on a set wage basis. Here is a general checklist that you should go over with consideration given to benefits. Investigate health and insurance coverage options thoroughly to see which one best fit an employees’ needs and an employer’s budget. For the benefits of the family and household help, calculate the amount of personal time offered to employees. Set regular review periods for salary changes and salary bonuses, and make sure employees know when these might occur. Be clear on extra perks the employee receives while working within the household including the use if facilities and property. Consider provining your nanny with mileage reimbursement or a gas card to help with his/her commute or with transporting children. Think about developing a transportation policy. You may, perhaps, provide an auto club membership to your employee who drives as part of his/her job, or periodically provide for the vehicle in use to be maintained with a tune up or oil change. Consider adding special perks to help your nanny. You may wish to establish an employee with employee assistance plan or gift certificate to a spa/health club as a way to help your employee de-stress. Consider providing your nanny with a little scheduled free time each week for him/her to make personal errands and phone calls. Here are some ideas for benefits or perks. Consulting with friends who’ve used nannies, nanny agencies and advertising for a nanny are all ways to find a great nanny. You should definitely interview the nanny in person before hiring them. Meetings with your child are also appropriate. Brainstorm a list of the qualities your ideal nanny would possess, and keep that in mind as you meet potential matches. Experience, personality, childcare philosophy and training are all factors to consider. Finally, a background check will alert you to any questionable behavior in the potential nanny’s past. You will also need to confirm eligibility to work in the United States. When you’ve found the nanny that best suits your child and situation, you should draw a contract to iron out the details of your nanny’s employment. This should include hours, duties, the amount of payment and when they will be paid, any benefits you’ll be offering the nanny including days off and insurance, and any other pertinent information. Clear communication is a must at this stage of the nanny process; handle any questions before the nanny begins work. Nannies and parents must communicate clearly with one another. As finding and hiring a nanny can be a time-consuming and emotional process, working through disagreements or misunderstanding is often preferable to firing the nanny. Staying home and guiding your nanny through a typical day with your child might help set a routine you’ll be satisfied with. Regular feedback on the nanny’s performance can help show the nanny what he or she is doing well and where you’d like to see improvement. When your nanny goes above and beyond or really pleases you, showing your appreciation is a great idea! A simple, heartfelt “thank you” will show you’ve noticed good work, and a gift you collaborate with your child on is not inappropriate. A daily log book can show you how the nanny is spending her time while in your home and is something the two of you can look over together to get a sense of the nanny’s strengths and weaknesses. If you find you and your nanny simple cannot continue your employment relationships,, letting a nanny go must be done carefully and respectfully. Situations will vary, but two weeks notice is a reasonable amount of time. If the situation is simply too tense or strained, giving the nanny two weeks pay and then letting her go might also be acceptable. 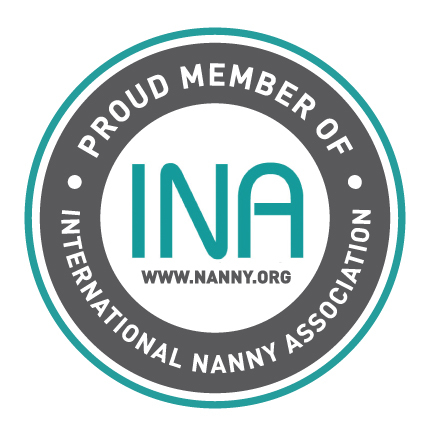 If your nanny came from an agency, the agency might be able to intervene and help you come to an acceptable solution. Regardless, the agency should be aware of your complaints about the nanny. If you suspect the nanny of child abuse, let her go immediately and contact the authorities. Being a parent, especially a new one, you might not feel comfortable leaving your child with a caregiver. If you have these concerns you may consider a “nanny cam”. This could be a sensitive subject for you or the caregiver. But it is definitely something to consider if you have doubts. If you do consider using a “nanny cam”, you should learn the laws your state has put forth dealing with the “nanny cam”. The laws of 13 states expressly prohibit the unauthorized installation or use of cameras in private places. A private place is considered a place without surveillance. Most nannies do not mind being videotaped; it’s just that they want to know they are being videotaped. I feel it is best to let the nanny know on the first interview if there is a “nanny cam” in place. It is better that they know upfront then to let them find it and then your trust is broken. This may cause some unexpected “bumps in the road” or even a resignation. The decision is ultimately up to you, but put yourself in their shoes before you make it. If interested, we also can provide “nanny cams” upon requestion. It may seem that as a candidate, you are immune from any fraud attempts since you are not the one paying any salary, relocation expenses, etc. Unfortunately, however, lately some unscrupulous people have figured out a way to try to separate you from some of your money. The scammers are typically from another country (which makes them harder to catch) and they will never meet with you (only Internet communication and phone). The scam is that they will often (but not always) offer candidates a very attractive position often with a very lucrative salary. Then they will make up an excuse why they need to send you money (in the form of a fraudulent check or money order) and then in turn, need you to return all or some of the money to them. Please do not be fooled. This is a common scam technique. Never send money to anyone! To protect yourself, we advise that you never give out your sensitive information (e.g., credit card numbers, social security number, etc.) to an individual you don't know (this is a good rule for ANY situation) unless you have met them and are comfortable that they are legitimate and need your information for legitimate purposes (e.g., to employ you, run a background check, etc.). Also, do to not send money to anyone requesting you to send them money for any reason (another very good general rule). We hope that you will practice these guidelines in general to keep your information and money protected. As always, we will remain vigilant to try to catch any potential fraud, however, given the nature of the Internet, violators are very challenging to track down and may crop up occasionally. Also, please do not let these scammers negatively affect your job search experience. Simply ignore any potentially fraudulent email. There are so many wonderful families out there (we know because we talk to them every day), and we don't want these dishonest people to take anything away from your positive experience. If you have any questions other than the ones you see answered here or elsewhere on the site, feel free to contact our team!